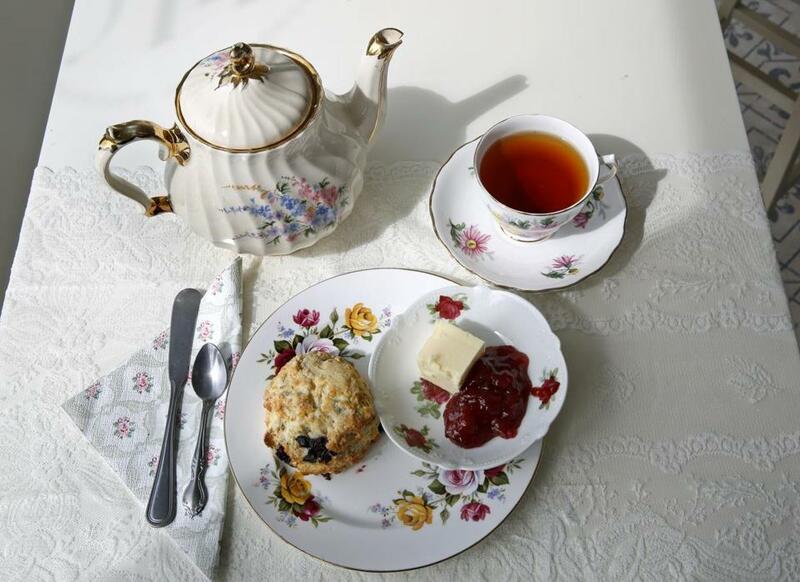 Adel Donegan’s Vintage Tea and Cake Company offers tea place settings on vintage china, scones, lemon squares, and more. BELMONT — This busy stretch of Belmont Street sees plenty of traffic, noise, and hubbub. But behind the door of the Vintage Tea and Cake Company is a tiny oasis of serenity. Owner Adel Donegan, 33, opened this bright, charming storefront as an extension of the catering service, also called Vintage Tea and Cake, she’s been running for three years. Vintage Tea and Cake Company owner Adel Donegan. 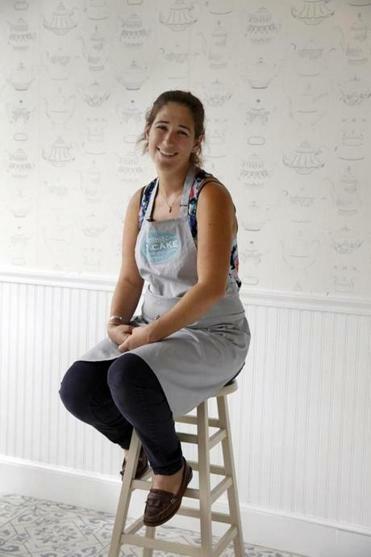 Donegan may seem like the sort of tea enthusiast who was born with a rolling pin in one hand and a three-tiered cake stand in the other, but in fact, she never considered going into the tea-party business — or any food-related venture — until relatively recently. She grew up all over the world and spent 10 years in England, attending art school and then working in film production. Living in England kindled Donegan’s love of tea (the event, more than the beverage), but she and her husband realized that London wasn’t where they wanted to raise a family. They came to Boston, where Donegan got a job in administrative support at MIT and began to pursue a master’s degree in management at Harvard Extension School. Soon, their first son was born; now, the couple has two boys, ages 4 and 15 months. Seeking that ever-elusive work-life balance, Donegan says, “I was thinking about what kind of business I could do on weekends and be flexible, and I thought of catering. 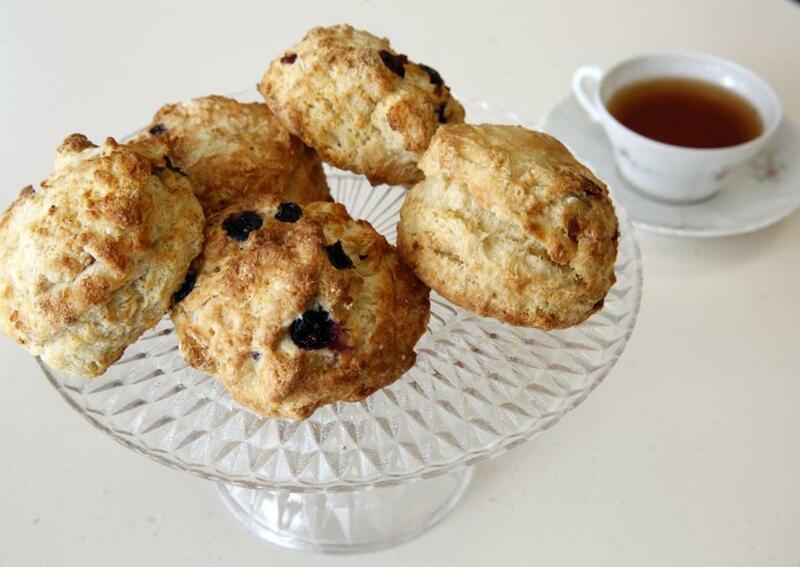 And I’ve always been a fan of tea parties.” And so, faster than you can say “Earl Grey,” Donegan began putting on tea parties — featuring tea sandwiches, petits fours (outsourced from the Danish Pastry House in Medford), and, of course, scones — for a variety of clients. The parties are held in clients’ homes or in commercial venues (historic homes are a particular favorite of Donegan’s) and may range from a baby shower for 20 guests to a wedding or charity event for upward of 100. For this former film producer, the staging is all-important. She began to amass a large collection of flowery vintage china, scouring antiques shops, Goodwill stores, and yard sales for inexpensive castoffs. Her parties feature a charming jumble of mismatched vintage china, reminiscent of a look popularized, if not pioneered, by Martha Stewart. The catering business took off, as did the wholesale scone business. But running both out of her home (with rented commercial kitchen space in Medford) soon became a bit much, especially on those busy weekends when the china collection was housed in her living room, within reach of two active children. The indefatigable Donegan, who catered two weddings on a Saturday three days before her second child was born, decided it was time to find her own place, and she turned a former doggy day care into an airy space that’s half commercial kitchen and half retail shop. 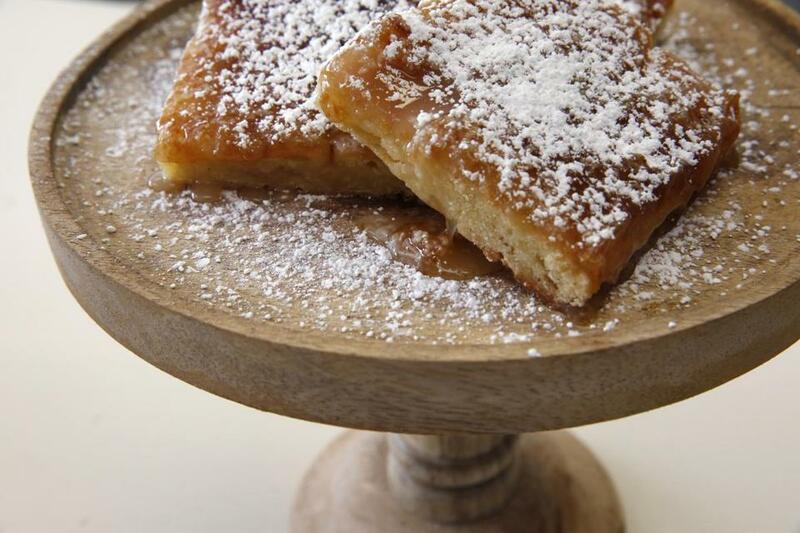 The retail side sells scones, lemon squares, and tea and coffee to go; Donegan plans to add sandwiches and other pastries soon. There are three stools at a high table where customers can sip and nibble, but no full-bore tea parties will be put on in the tiny space. Instead, Donegan continues to cater parties in outside venues. The shop features an artful display of Donegan’s china, a few boxes of tea and jam for sale, and wallpaper adorned with — what else? — silhouettes of china teapots. In back, ready to make an appearance at one of Donegan’s catered events, more china is stacked high: cups, saucers, plates, and many three-tiered cake stands, which Donegan crafts herself by selecting three plates that complement one another, drilling through them, and adding the appropriate hardware. It’s all in a day’s work for this baker-caterer-china collector-crafter-mom-businesswoman. The Vintage Tea and Cake Company, 129 Belmont St., Belmont, 617-470-4321, www.vintageteaandcake.com.